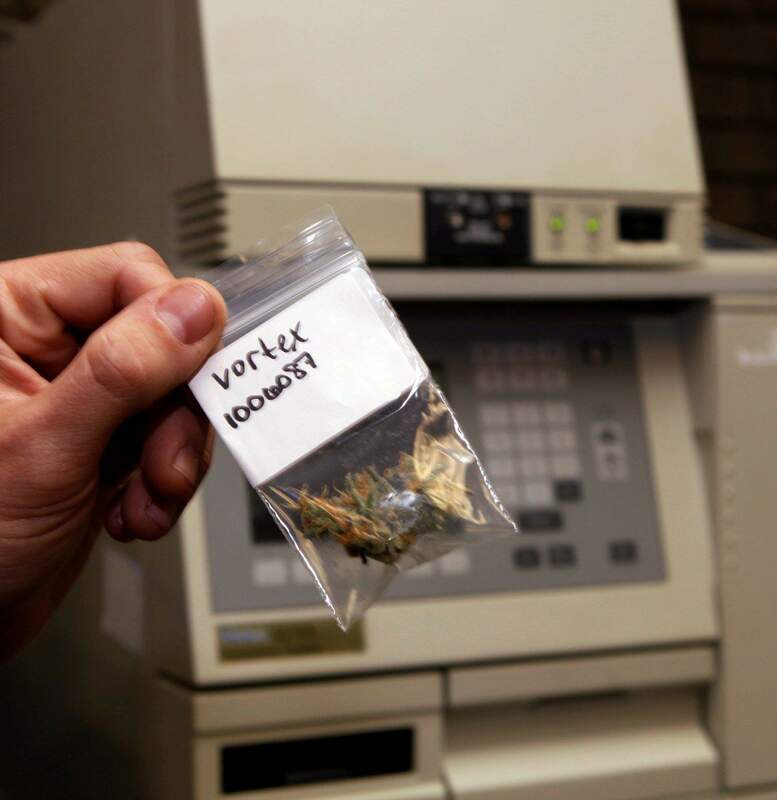 A sample of marijuana is held in front of a high-performance liquid chromatograph at Full Spectrum Laboratories in Denver, which currently does voluntary marijuana analysis for about 100 growers and dispensaries. State officials are having a tough time writing regulations for a product thats never been scrutinized or safety-tested before. 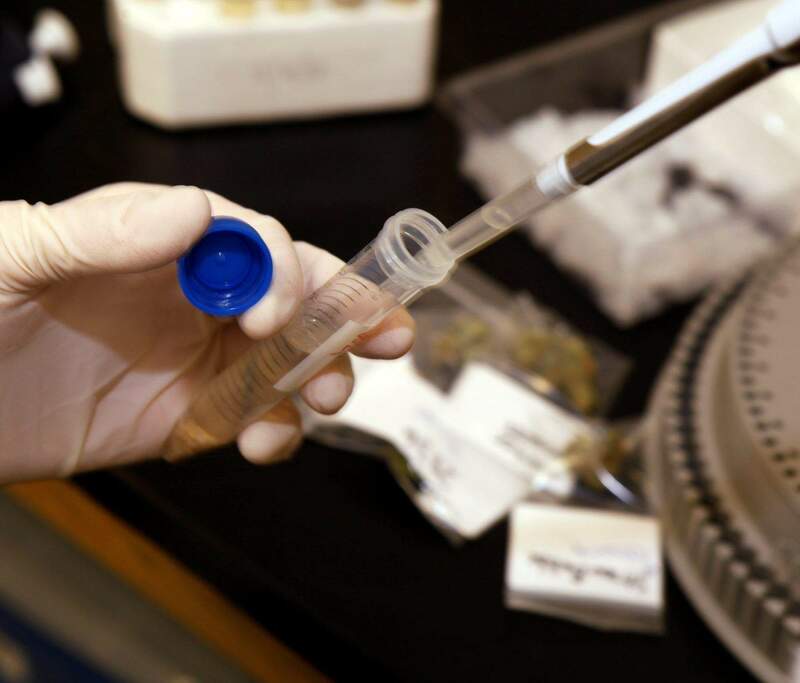 Samples of marijuana are tested at Full Spectrum Laboratories in Denver, which currently does voluntary marijuana analysis for about 100 growers and dispensaries. State officials are having a tough time writing regulations for a product thats never been scrutinized or safety-tested before. 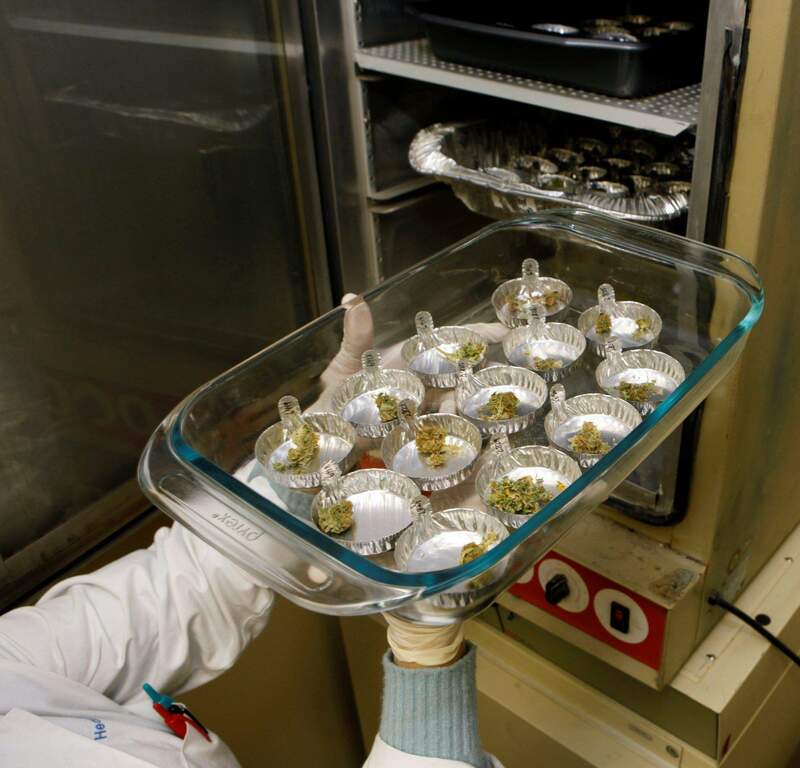 Samples of marijuana are tested in an oven at Full Spectrum Laboratories in Denver, which does voluntary marijuana analysis for about 100 growers and dispensaries. State officials are having a tough time writing regulations for a product thats never been scrutinized or safety-tested before. DENVER  Whats in that joint, and how can you be sure its safe? Colorado is working toward becoming the first state to regulate production of medical marijuana. Regulators say marijuana consumers deserve to know what theyre smoking, and producers should have safety regulations such as pesticide limits for plants destined for human consumption. It is an effort supported by the medical marijuana community in Durango, from growers to patients. Right now, patients have no way to verify pot-shop claims that certain products are organic or how potent a strain might be. You dont go into a Walgreens with a headache and put on a blindfold and pick something off a shelf. But thats what some people are doing when they buy marijuana, said Buckie Minor of Full Spectrum Laboratories in Denver, which currently does voluntary marijuana analysis for about 100 growers and dispensaries. Minor and others in the marijuana business say industry standards are needed. But Colorado officials are having a tough time writing regulations for a product thats never been scrutinized or safety-tested before. New Mexico requires marijuana products to be labeled by strain and potency, and is planning by the end of the year to allow health inspectors to review samples. But currently, none of the 14 states that allow medical marijuana regulate how its grown. Theres no experience with this, said Dr. Alan Shackelford, a Denver physician leading Colorados effort to write labeling and safety regulations for medical marijuana. b Should marijuana sellers be able to attach medical claims to their products? What if no research exists to back up a claim that a certain strain of marijuana is best for, say, pain or nausea? b Should medical marijuana be labeled by potency? Patients using over-the-counter and prescription drugs can read the medicines ingredients, but no analogy exists for marijuanas active ingredient, delta-9-tetrahydrocannabinol, or THC. b What about chemicals, such as pesticides or fertilizers, used on marijuana plants? Should those be limited, as they are for food and tobacco? b Agencies that routinely inspect farms, restaurants and pharmaceutical factories have no experience regulating marijuana. Can they be tapped to inspect how marijuana grows? b What happens if someone gets sick from medical marijuana? Should growing operations have guidelines to limit contamination, such as mildew and mold? Given the lack of USDA or other oversight of this agricultural industry, were at square one, Shackelford said when introducing proposed regulations recently. Shawn Peter Clevano planned to open a kitchen in Durango that would sell healthful foods such as salsa, pasta and sauces containing medical marijuana. The business never started, partly because of all the regulations associated with opening a commercial kitchen and the ever-changing medical marijuana guidelines. Still, Clevano said he supports regulatory oversight and labeling. He was finding it difficult to know how much medical marijuana to put into his recipes and said a labeling system would be helpful. He compared it to a bottle of Tylenol pills and not knowing if some pills contain 200 mg while others contain 1,000 mg of the active ingredient. Its like anything else that youre putting into your body  you need to know what it is. And if you dont care, maybe youre using it for the wrong purposes, Clevano said. Durango resident Joe Dorsey, a card holder and caregiver who grows his own marijuana, said he can determine potency by ingesting his product. But regulatory oversight and labeling is needed to help customers understand the potency and whether chemicals were used in growing the weed. Shackelford says hell borrow from federal tobacco regulations for limits on chemicals that can be used in material to be smoked or ingested. The regulations also likely will include the nations first guidelines for the safe production of hashish, which is concentrated marijuana. Hash production can be a fire risk because its often prepared using butane, and sometimes hash is made using plastics that can leave unsafe carcinogens as residue. Matt Cook, who leads the Department of Revenue committee considering the new regulations, conceded that state regulators face a challenge overseeing the state marijuana supply. But the so-called ganjapreneuers working in the marijuana business say that regulation and safety standards are needed. Patients are definitely interested to get as much information as they can about what theyre ingesting, Minor said. Herald Staff Writer Shane Benjamin contributed to this report.